From Corporate Luncheons, Weddings, First Communions and Bar Mitzvah’s. Trattoria Da Luigi has the catering expertise to make any event an unforgettable experience. With our flexible menu and service options, helpful catering specialists and unbeatable dishes, we can accommodate any occasion or budget. For additional help, contact Chef Steve @ 248-542-4444 to assist you every step of the way to ensure a successful event. 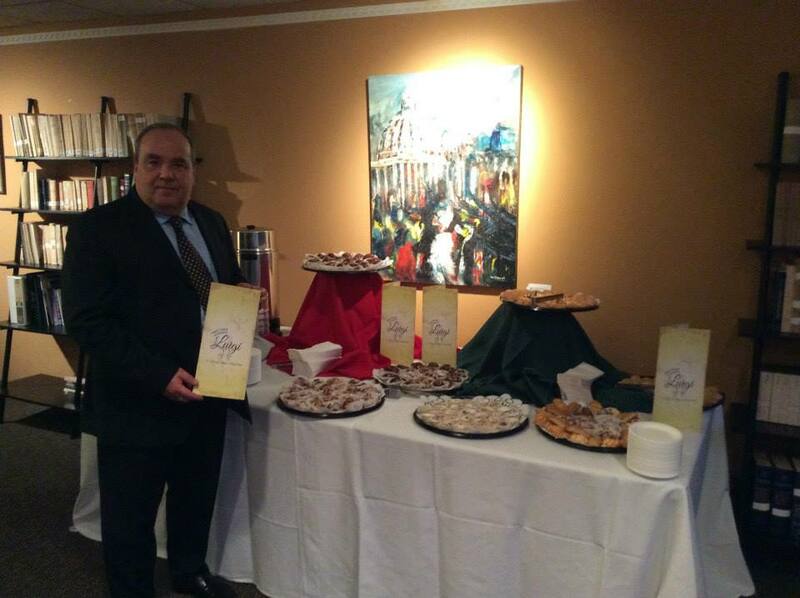 There is a reason why Trattoria da Luigi is the preferred caterer to the Italian Consulate. Here’s Luigi in front of a table of sweets just before the action starts.